1. Heat a large frying pan over a medium heat. Add the oatmeal and sugar and stir until the sugar has melted and the oatmeal is golden. 2. Tip the oats on to a baking sheet lined with grease proof paper and cool. 3. Mash 150g of raspberries with a fork. 4. In a bowl, stir the yogurt, honey and whisky together. 5. 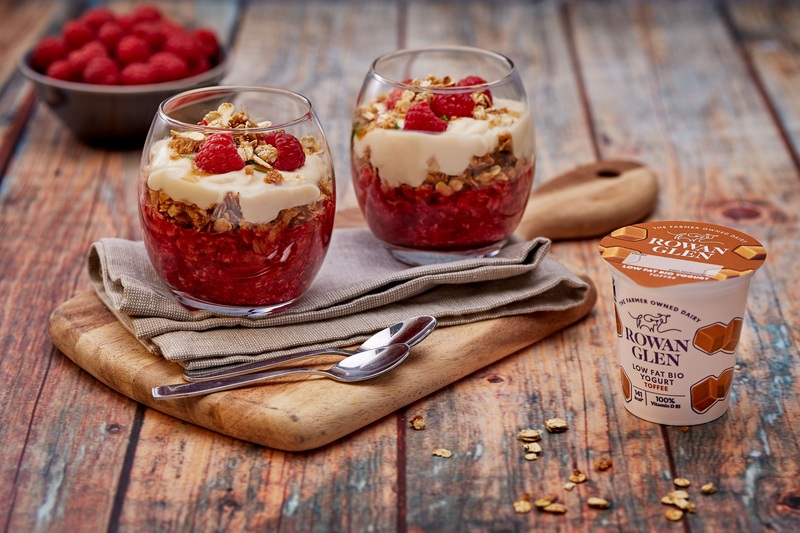 Layer the yogurt mixture into glasses with toasted oats and mashed raspberries. Drizzle with a little honey, whisky and decorate with fresh raspberries and mint before serving.